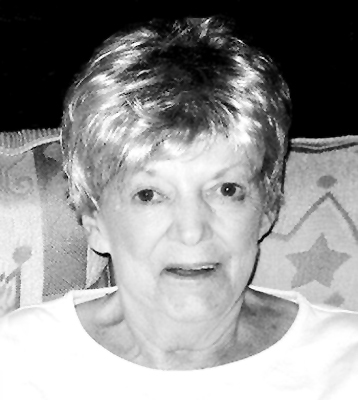 HAZEL M. ADAMSKI AUSTINTOWN – Hazel M. Adamski, 79, passed away late Wednesday morning, Oct. 12, 2011, at St. Elizabeth Health Center in Youngstown. Hazel was born July 6, 1932, in Youngstown, a daughter of the late Alden E. and Opal Thompson Campbell, and was a lifelong area resident. She was a homemaker who dedicated her adult life to raising and caring for her family. Hazel was an avid card player and enjoyed the time she spent with her family. Mrs. Adamski leaves her husband, John K. Adamski, whom she married Sept. 10, 1960; two sisters, Gertrude Crissinger of Austintown and Mildred Naples of Boardman; three grandchildren, Jake, Jace, and Jayden Adamski; and several nieces and nephews. Two sons, Todd and John Adamski, and a brother, Alden O. Campbell, are deceased. Family and friends may call from 5 to 7 p.m. on Friday, Oct. 14, at Kinnick Funeral Home, 477 N. Meridian Road, Youngstown. Funeral services will take place at 10 a.m. on Saturday at the funeral home. Interment will follow at Green Haven Memorial Gardens. Please share your memories of Hazel.